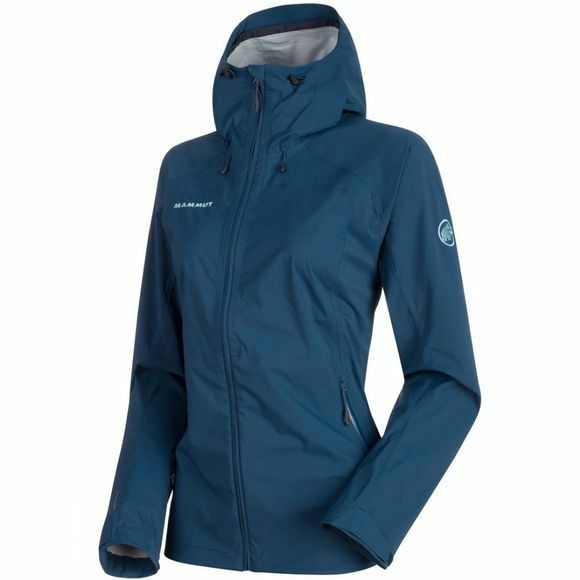 The Keiko HS Hooded Jacket Women is a very lightweight weather protection jacket for high-alpine terrain. As well as making the Keiko breathable, waterproof and windproof, the DRYtech stretch material also ensures a very low packing volume. The Keiko is ideal to take along in case of a sudden change in the weather. As you would expect, the jacket comes complete with all the typical Mammut details: pre-shaped sleeves, underarm ventilation, three pockets and a hood capable of resisting even strong gusts of wind.